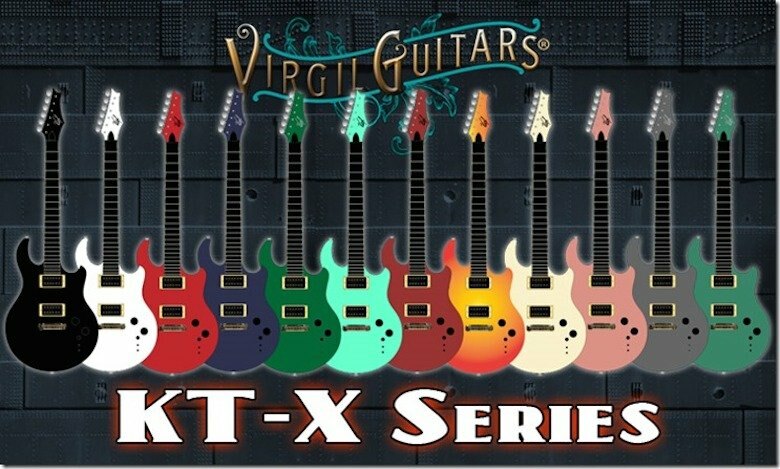 Virgil Guitars recently launched its KT-X series of affordable custom-built electric guitars. We spoke to Virgil Mandanici about the philosophy behind the launch. A custom-built, hand made electric guitar for less than $3000 may sound unlikely, but then Virgil Mandanici has never been one to follow the road well-trodden. Whether it's deciding to build guitars for a living having never built one before, creating the most stunningly intricate fret inlays, or striving for perfection with every build, Virgil does things his way. So when he decided that he wanted more guitar players to have the opportunity to own one of his custom built creations, Virgil figured out how he could make it happen and then did it. The Virgil Guitars KT-X Series is the result. 'One of my biggest struggles is that for the most part, I have made pretty high-end guitars... to the point that the “average player” almost looks at me as a novelty of sorts,' Mandanici told Guitar Hive. The first Virgil Guitars sale was a carved top instrument called The Silver Willow, which sold for $12,000. The only guitar Mandanici had built before that was his pride and joy, the Dueling Dragons. 'It was a guitar I was really building for myself. It was my “Dream Guitar”. By the time I was nearing the end of the build, it had wound up being a bit more “spectacular” than I had imagined,' he explained. That's how it goes when you're a perfectionist doing something you love. You spend more time, more money, and put more blood, sweat and tears into a build than probably makes commercial sense. The KT-X is different, though. Not because Mandanici is any less passionate about it, or any less determined to make beautiful guitars, but because he's focused on making the guitars affordable. 'I had to look into where most of my costs were on my builds – it was really going into the woods and the time it took to make the woods look phenomenal. Most of my builds to-date have been all about the wood and making it look as perfect as humanly possible. I knew I would be able to keep costs down by introducing a “painted” guitar that didn’t have all of the extra appointments. They were already being made, sans putting a top on them, whether it be carved, or a drop-top. I knew that would save time and money as well, just making a body, without a cool top,' Mandanici told us. Sticking to a budget doesn't mean foregoing the feature for which Virgil Guitars is renowned, however. Those intricate inlays remain. KT-X series guitars include a fret inlay of the customer's choice at either the seventh or twelfth fret. 'I will still put fret markers on the rest of the frets if the customer wants,' said Mandanici, highlighting another feature of the series – there are a ton of upgrade options. Since the Kon Tiki, there's been the Poisoned Ivy, a carved top KT series guitar, and The Bridge, the first custom-ordered KT series. And recently, another carved top, the Katana. Now there's the KT-X series. 'The “X” in the KT-X simply means the color. It can be painted whatever color the customer wants. The street price of these are $2400 USD. I am open to “upgrades” if the customer prefers, so for instance if they don’t want our custom in-house pickups and prefer to get the same pups as the Kon Tiki original guitar, which were: Neck: DiMarzio PAF 36th Anniversary DP103, Bridge: DiMarzio Air Norton DP160, I can do things like this for a slight upcharge,' explained Mandanici. Upgrades aside, the basic specs of the KT-X series are themselves impressive; solid alder, poplar, or basswood body, maple set-neck (not a bolt-on), seahorse headstock, and humbucker-style handwound pick-ups made by Virgil Guitars to the customer's specification. 'At the end of the day, my guitars are really about the tone – we have spent hundreds of hours on making demo videos of our guitars so people can hear them and these guitars will prove that point. 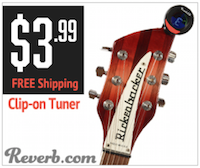 They are simplicity, yet with a touch of cool inlay and more about the tone and feel,' Mandanici enthused. If you'd like to talk to Virgil Guitars about ordering a KT-X series, you can do that here.